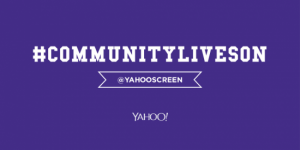 The popular comedy series Community was surprisingly dropped by host network NBC this summer, but to the relief of fans was quickly picked up by search engine giants Yahoo (through their Yahoo! Screen brand), and to even greater relief, creator Dan Harmon has recently stated that the move into an online-only realm will not change how the show is produced. 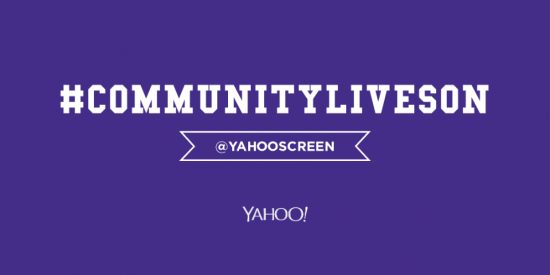 Taken on for a total of 13 new episodes in its 6th season, Community has already lost series regular Yvette Nichole Brown for personal reasons (but citing she is able to return as a guest star), but claim that viewers will not see any other major changes, with Yahoo Screen to continue the show’s traditional ‘three-act format’. Harmon (Rick & Morty), promoting his upcoming documentary Harmontown, was speaking to Vulture as he said of the matter: “I think that the act breaks from the original Community, as it was born into the NBC clock, are very good act breaks. It’s a three-act story as raised at NBC. The [online] commercial breaks are coming at points in a story where, if you were watching a 20-minute play, the curtain might come down, and you might have an opportunity to go get a box of Twizzlers and think about what’s happening, digest, and speak to your friends about what’s going on. He added of the show in general and how it has managed to take a place in the hearts of its fans: “I think I realised that what was special about Community is the actors. I’ve written lots of scripts almost as good or just as good as the Community pilot. The big difference is Joel McHale, Alison Brie, Danny Pudi, Gillian Jacobs. That’s what TV is, you know. I’m sure Chuck Lorre would say the same thing about Sheldon. Ultimately, there’s nothing particularly magical about what we do as writers and showrunners; the best we can do is know what we’re doing.